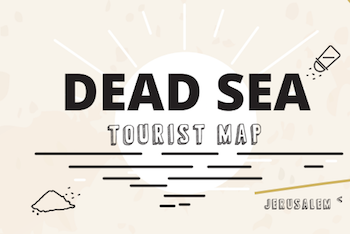 Ein Gedi beach is located near Kibbutz Ein Gedi, at the center of the Dead Sea. Entrance is free of charge and there is a large parking area right outside. On Saturdays and holidays, many visitors arrive at this narrow strip of beach and claim the red parasols scattered along the shore. Camping is permitted in the parking area (bathrooms and showers are available for a small fee during lifeguard hours). The Ein Gedi parking area offers a kiosk and even a self-service restaurant.